Catherine Chen is a PhD student in the Department of Biology within the UNC College of Arts and Sciences and a member of the Karin Pfennig Lab. 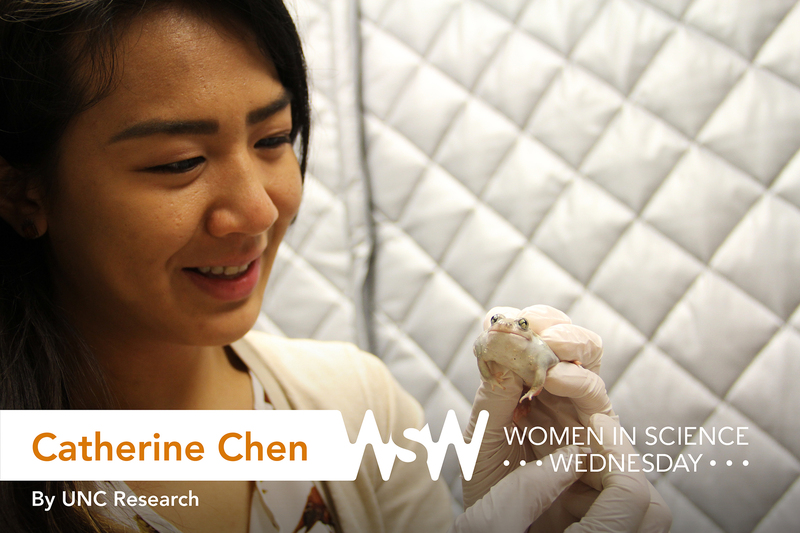 Her research focuses on how visual and auditory signals affect the mating decisions of female spadefoot toads. When I was a kid, I was obsessed with this guidebook on dolphins, whales, and porpoises — so I wanted to be environmental educator! Preferably one working with marine life. On an elementary school field trip to the American Museum of Natural History, I got to see a variety of incredible displays — the one of the iconic blue whale blew my mind. Realizing how much amazing biodiversity there is in the world catalyzed my lifelong fascination with it. Chen helps her boyfriend, a biology PhD student at Duke, collect data on birds in a local marsh. 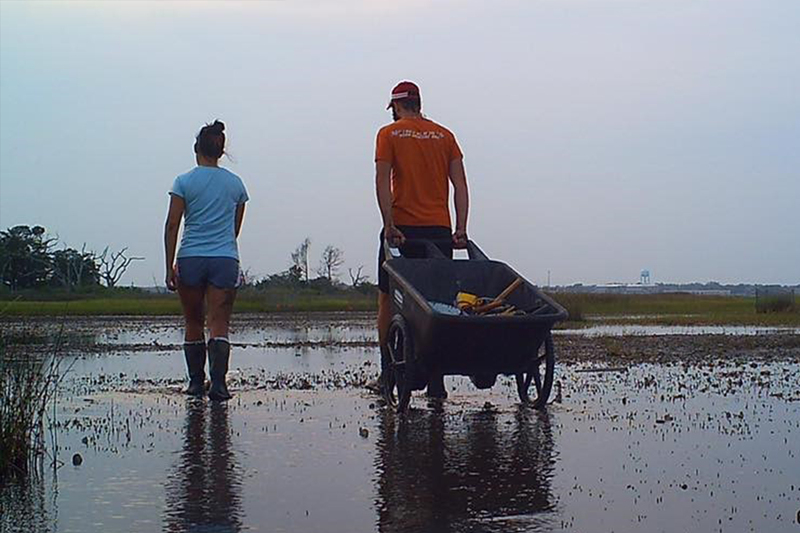 One summer in Georgia, I set up cages in a salt marsh to collect snails for an undergraduate research project. The day after all the cages were finally set up, I checked them and found that most of the snails had escaped because the wire mesh of the cage hadn’t been small enough — disaster! I’d tested it beforehand by trying to fit the snails through in the lab, but hadn’t counted on quite how tenacious the snails would be. I ended up covering the insides of the cages with some even finer mesh and grabbing more snails to put in — tedious, yes, but so much better than remaking the cages. Lessons learned: Think creatively and broadly to fix your mistakes. Also, snails are smarter than you think. I really like making food. My boyfriend got me a stand mixer over the holidays, so I’m currently even more excited about cooking than usual (Hand-pulled noodles! Taiwanese meatballs! Mmm.) To counteract all the eating that goes along with the cooking, I like hiking — the coast is my favorite because I love the water — and have recently taken up weight-lifting. Doing things that are completely unrelated to science helps clear my mind and motivates me to get back into the lab.